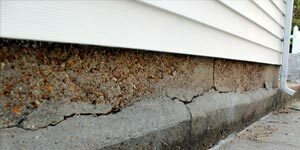 Whenever your home has a structural problem, you need foundation repair ASAP before it jeopardizes the rest of the home. We have many years of experience fixing all types of foundation problems, ranging from minor to severe. There is no problem too big or complex for our experts to handle, and we cannot stress enough how important it is to be sure that you are letting the specialists do this kind of work in your home. 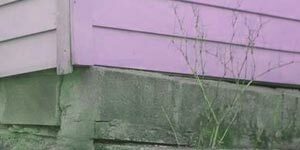 It's not recommended to DIY your way around a foundation problem since you are dealing with the base of your family's home in Nebraska. Repair work needs to be performed by professional with years of experience in the field, and with the knowledge to know what's going to work and what's not when it comes to taking care of issues with foundation settlement, leaning walls, wall or floor cracks, and so on. This is exactly the kind of service you are going to receive when you choose to work with us. Our service area for foundation repair includes Nebraska cities and surrounding areas. This type of foundation problem is rather common. It's caused from a condition known as foundation settlement. Settlement can be caused from many different things, including poor soil compaction, a very wet spring or fall making the soil too soggy to support the weight of a home, or even from tree roots growing under or around your home and causing the foundation to shift and settle in place. Regardless of what has caused the problem, we can get it taken care of with the use of specially-engineered foundation piers. These piers can be installed quickly, and they have proven time and time again to be effective at taking care of even the worst types of structural sinking problems. Often times, foundation cracks are caused from natural concrete curing and shrinkage. 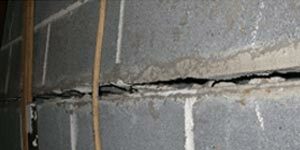 However, a crack is sometimes a warning sign of a more serious foundation problem. When we come to your home for a consultation, we will be able to figure out how and why the crack formed. We will take care of the underlying cause of the problem, and seal it off with an epoxy injection technique to be sure that water is not ever able to seep into the home and cause problems in the basement. Bowing basement walls are caused from too much hydrostatic pressure in the soil surrounding a home. Whenever the earth absorbs moisture during a heavy rain, it causes the soil to swell up. This expansion puts a lot of pressure on basement walls, and eventually, it will cause them to lean into the home. When this happens, you have a bowed wall problem on your hands. The situation can be taken care of with the use of durable, strong wall anchors which can be installed quickly and without much excavation.